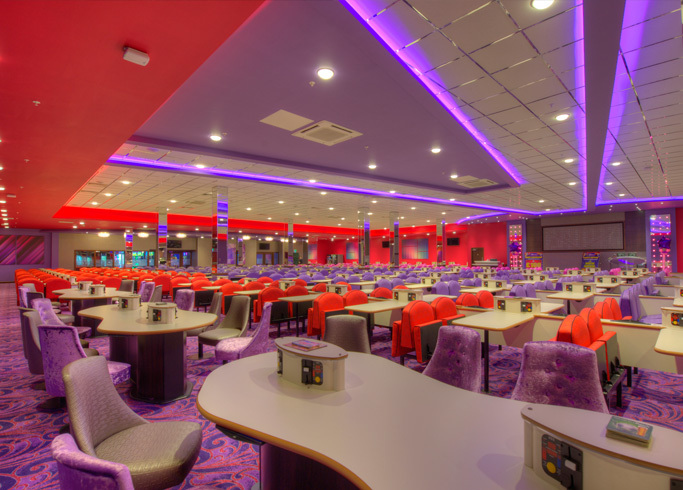 Our client operated an aging bingo club in Walkden. The landlord offered a larger unit in a new development of a nearby shopping centre. 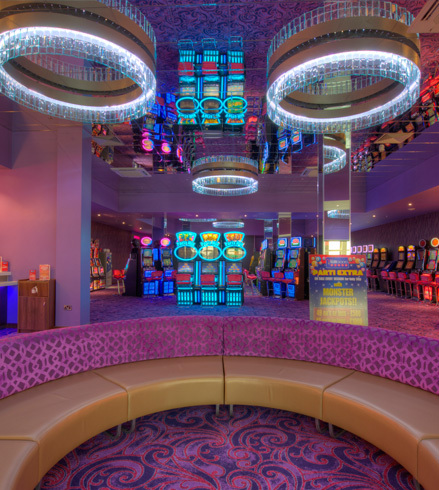 Club 3000 asked GIA to create a new £3 million, 24,000 sq. ft. bingo hall design. This needed to appeal to more customers whilst retaining the existing clientele and remaining on brand. GIA took the brief and developed the brand to produce a new and interesting interior for the club within the constraints of the site. 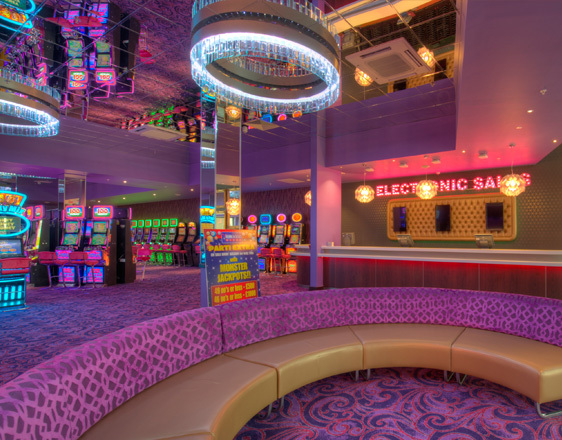 Through the impressive entrance area there is a large arcade incorporating gaming machines before reaching the bingo seating. 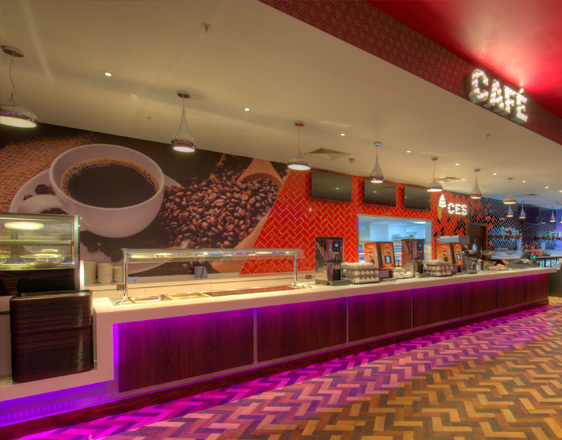 Comfortable bright seating was used alongside modern equipment with a contemporary styled bar/café area. 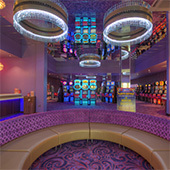 The aim was to encourage clients to stay in the club longer and spend more. A large smoking shelter was included utilising the existing roof area to allow clients to carry on playing whilst having a cigarette break. The new club has taken Club 3000 forward to a different level of business. 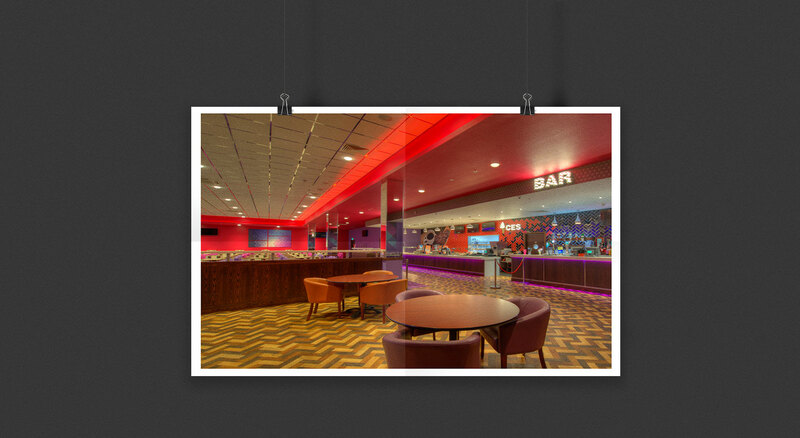 When we considered refurbishing existing or building from scratch new venues we used the considerable talents of GIA Ltd. They also fully understand the need to appreciate the income opportunities and resulting likely profits from the works rather than just making something look nice. Their approach was inventive and often they could see a solution when we could not especially when we were looking to re-utilise buildings that often were in the wrong place, my experience tells me not many practices have their ability.